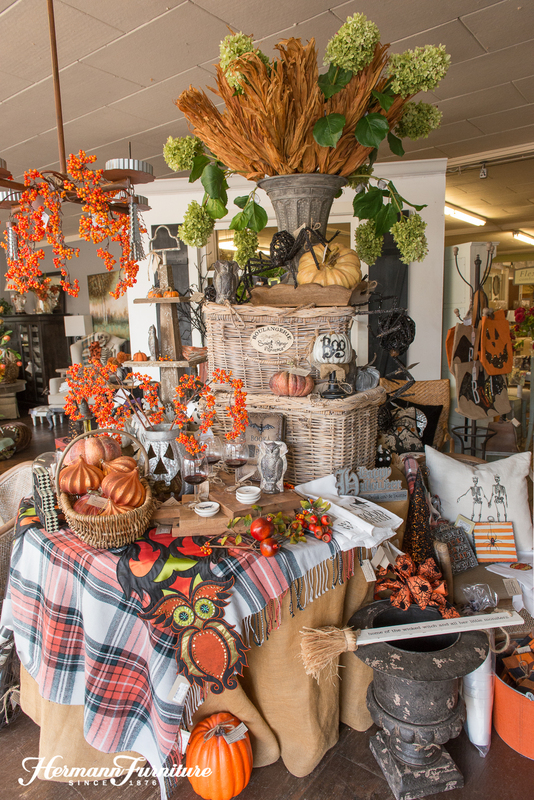 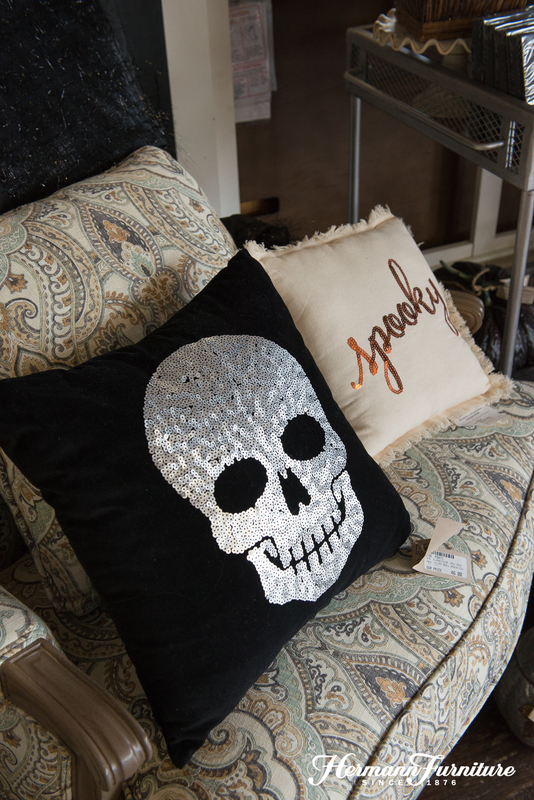 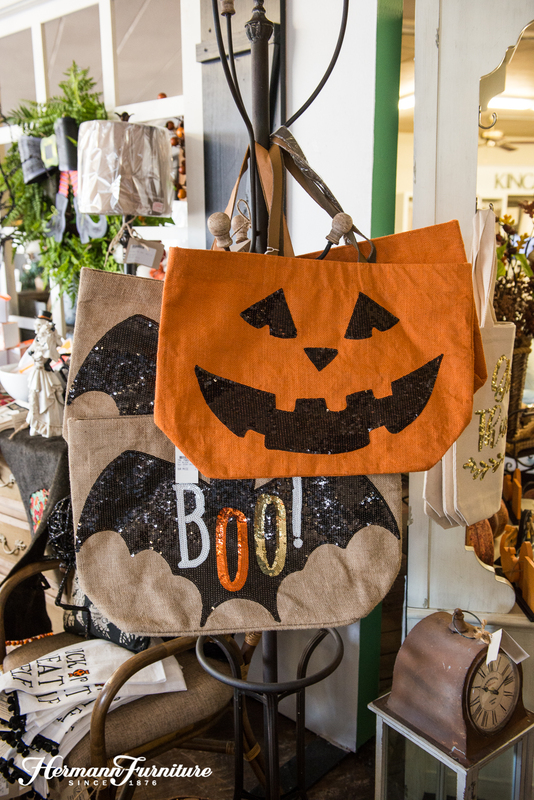 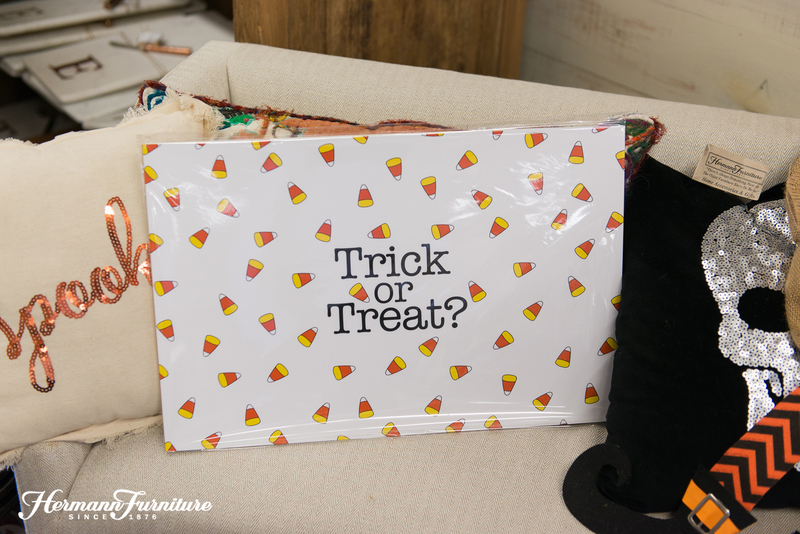 The cooler weather has arrived (for now), and we are fully embracing the Halloween decor! 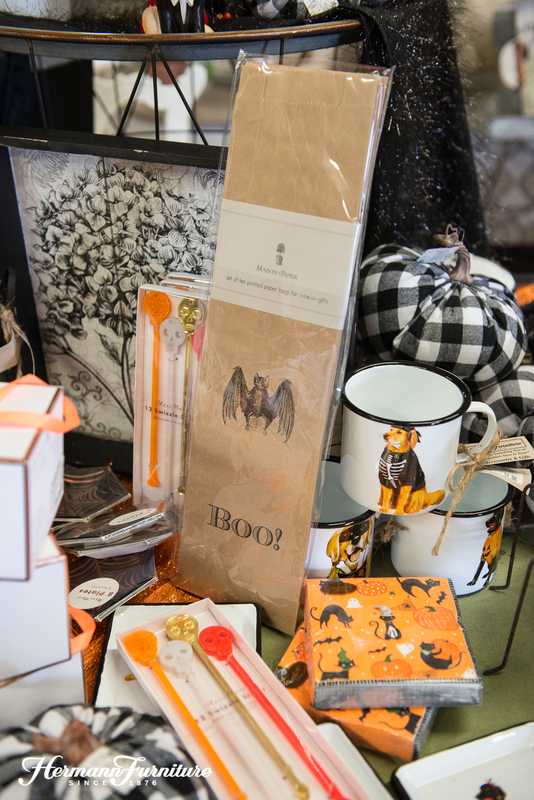 We have so much in the store and at Hermann Emporium. 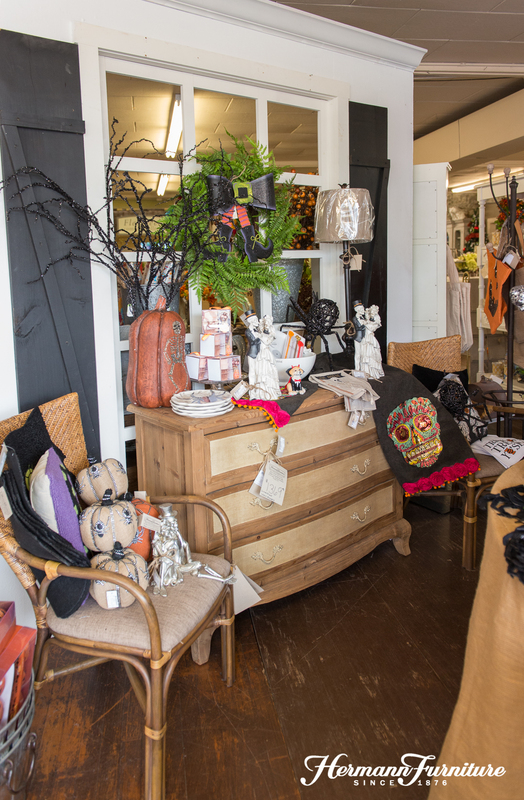 Come by and find something to spice up your Halloween! 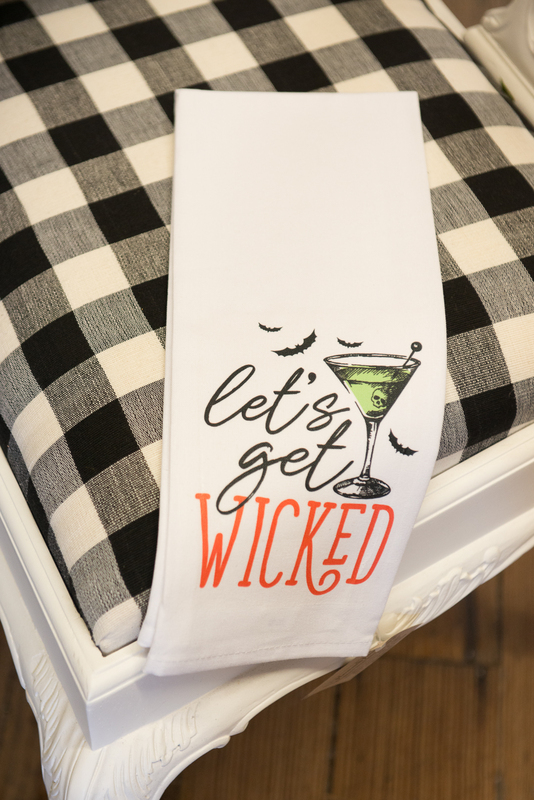 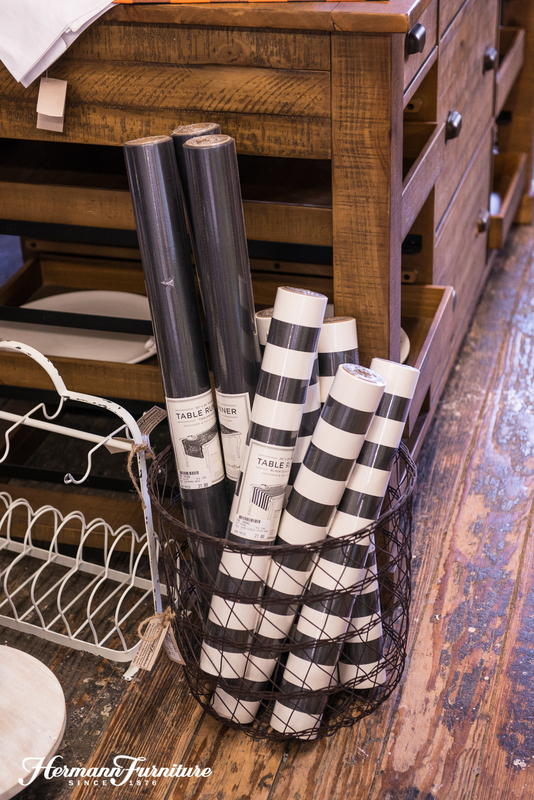 You know we love the paper placemats and table runners! 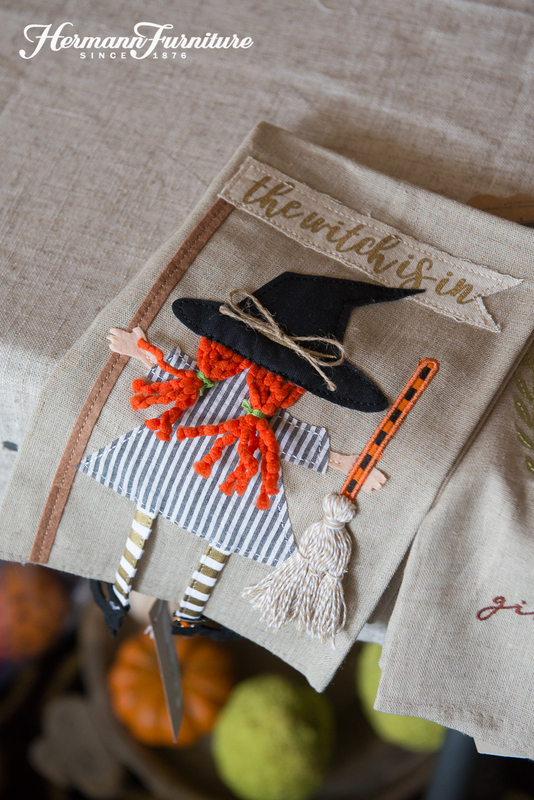 So versatile–and not just for the table! 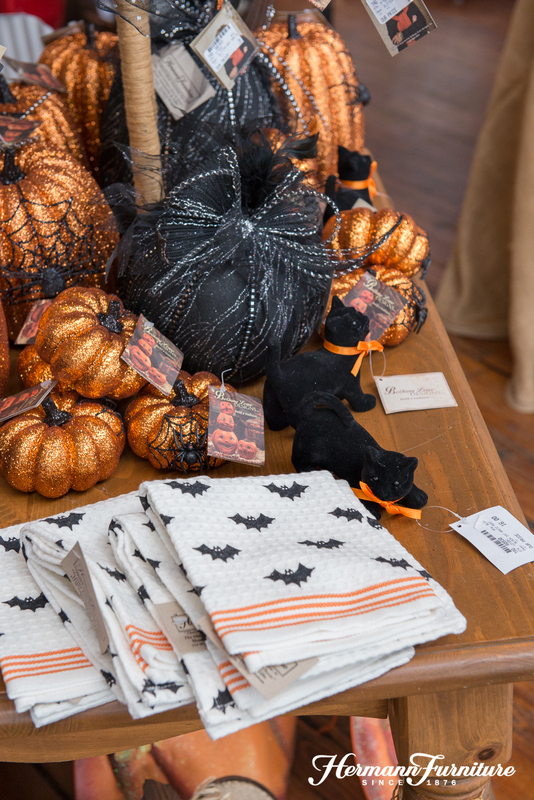 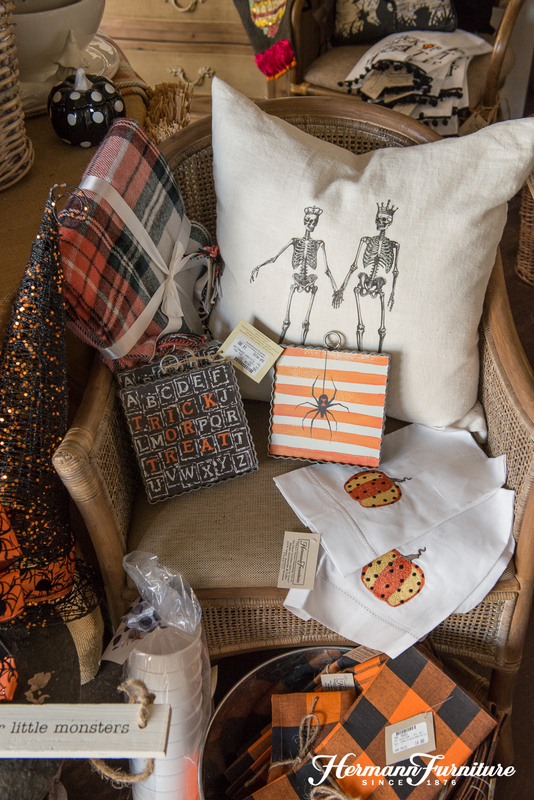 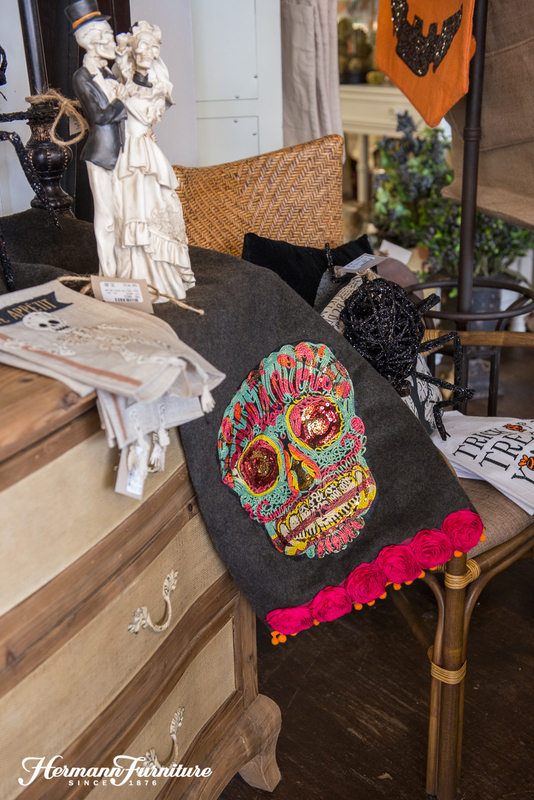 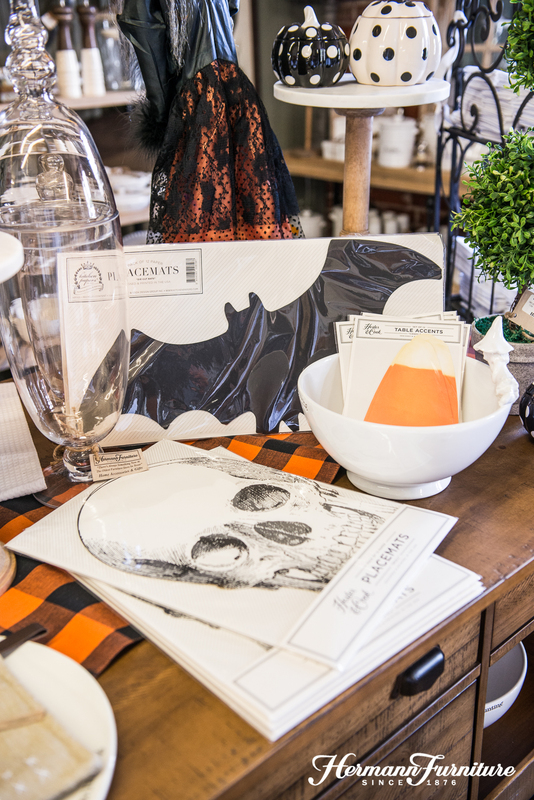 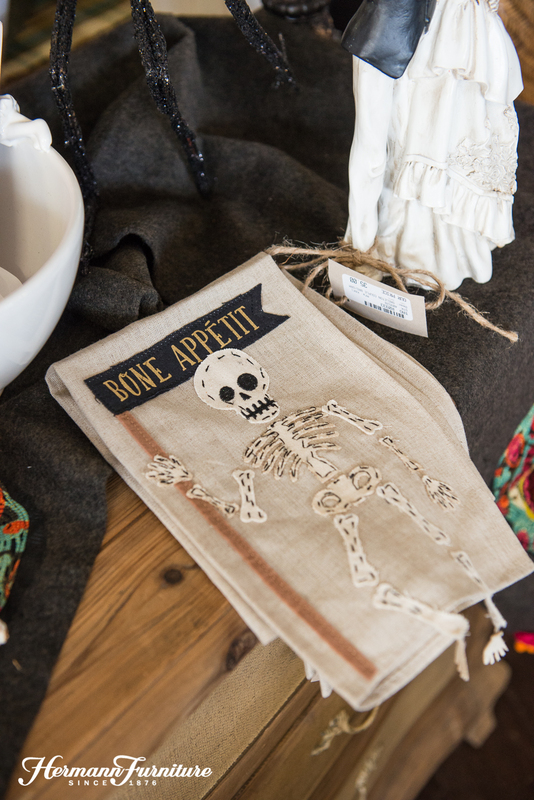 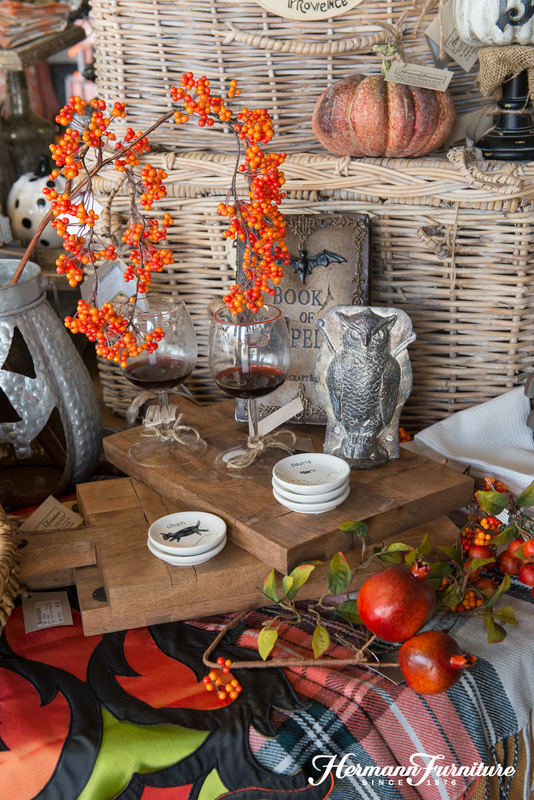 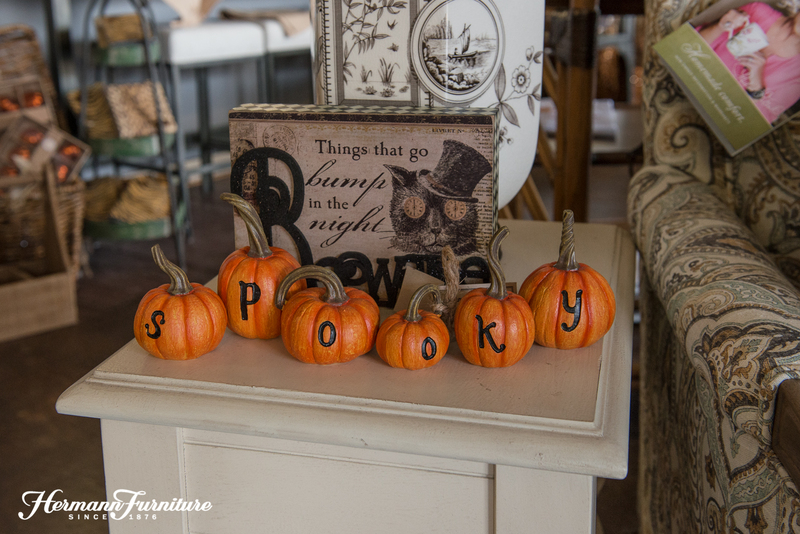 Below is some of our Halloween selection at Hermann Emporium. 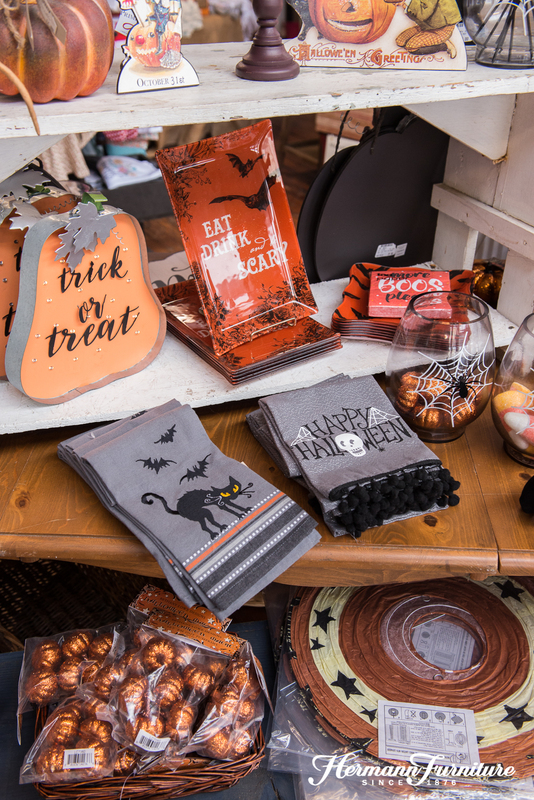 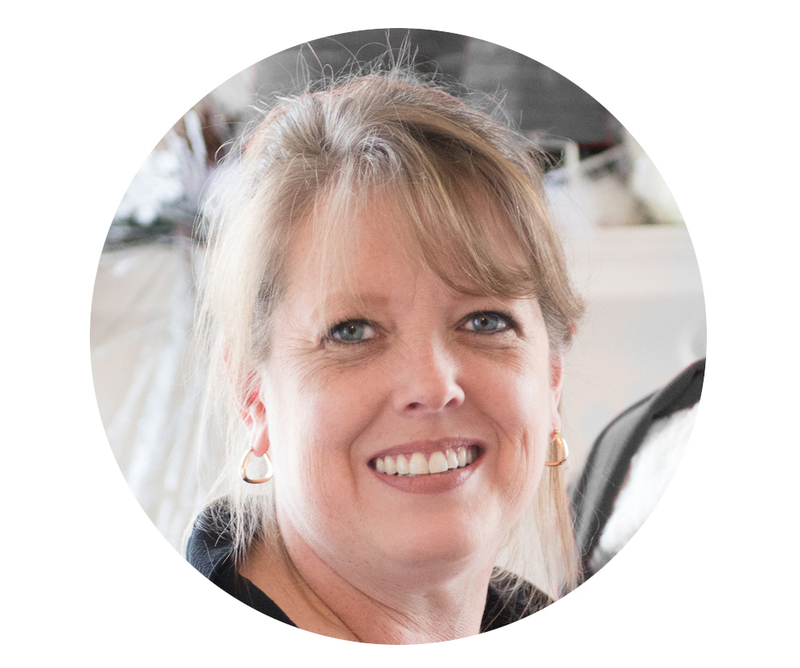 Stop by there, too!